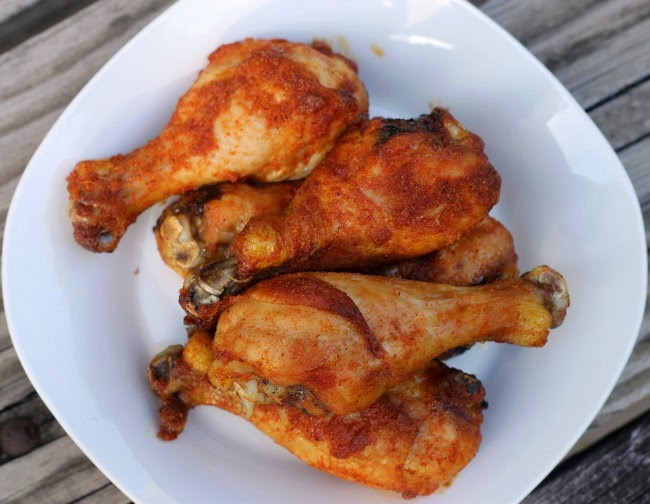 Hungry for something that is sweet and spicy… try these sweet and spicy drumsticks. It seems like I have been sharing a lot of chicken recipes on my blog of late. There is no doubt that I love to eat chicken and the versatility of this meat. I mean the recipes are endless when it comes to chicken, you could eat it forever and never have to eat it the same way twice. I actually made this recipe on the 4th of July. We had decided to stay home and do chores around the house so I wanted something simple. I was hungry for something that was a little spicy and sweet, but I wasn’t in the mood for anything with BBQ sauce. 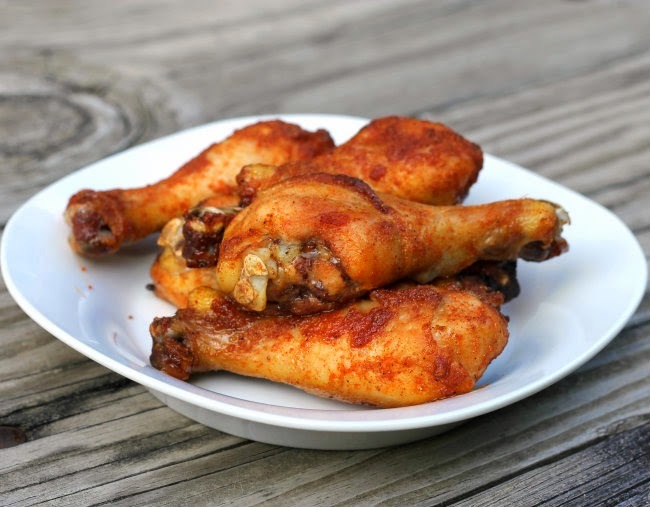 So at the end I used ingredients that I had in my pantry and I came up with sweet and spicy seasoning that I used on some chicken drumsticks. The chicken had the right amount of sweetness and it wasn’t overpowering on the spicy side. It is one of those recipes that is nice to make when you want something easy and not a lot of effort, but it turns outs something that the family loves. 1. Take a large baking dish and line it with aluminum foil. Spray the foil with a non-stick cooking spray and set aside. 2. In a large zip-lock bag add all of the ingredients and shake until well mixed. 3. Once the dry ingredients and the chicken legs and shake until the legs are coated with the seasoning. 4. Remove the chicken legs from the bag and place them on the prepared baking pan. 5. Cover the pan with plastic wrap and set in the refrigerator for 2 to 3 hours. 6. 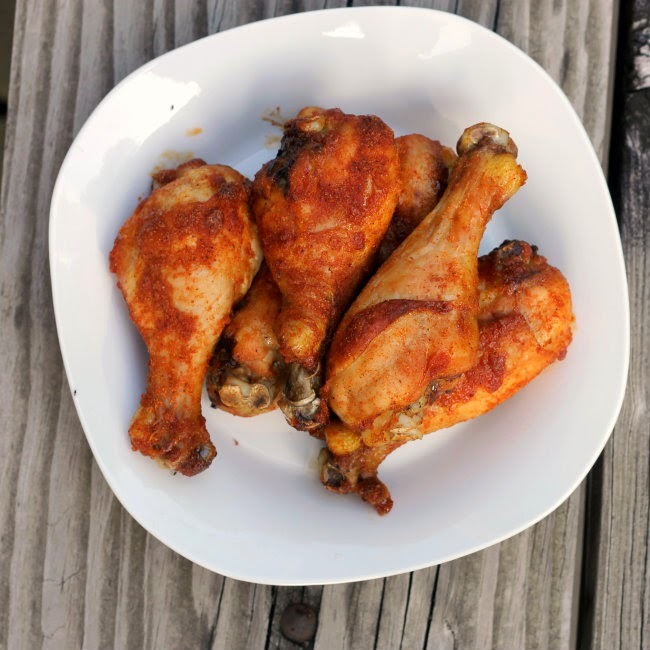 Preheat oven to 325 degrees F. Remove the chicken from the refrigerator, once the oven is preheated place the chicken legs in the oven and bake for about 30 minutes or until juices run clear. (Cook’s note: feel free to change things around on this recipe, we don’t all like the same flavors and spices). My kids just love drumsticks! It’s their favorite food, they’d rather have those then any fast food item or a hot dog any day! It’s kind of funny. Never realized I could season my own! I just get them off rosterrisie chickens. But I do have all these ingredients in my spice drawer now! Those sweet and spicy outsides sound fabulous! Perfect summer flavors. The recipe sounds delicious but I’m most appreciative of the ease of it. Especially in the summer, I’m always looking for recipes that I can quickly prep earlier in the day then throw in the oven later. Dawn, your chicken would be a big hit with my family. Your rub sounds wonderful, and who doesn’t need a quick and delicious entree recipe? I love the combination of flavors!